Beckworth Emporium is a contemporary gardening and food emporium housing a Food Hall, Produce Market, Garden Nursery and an award-winning restaurant. 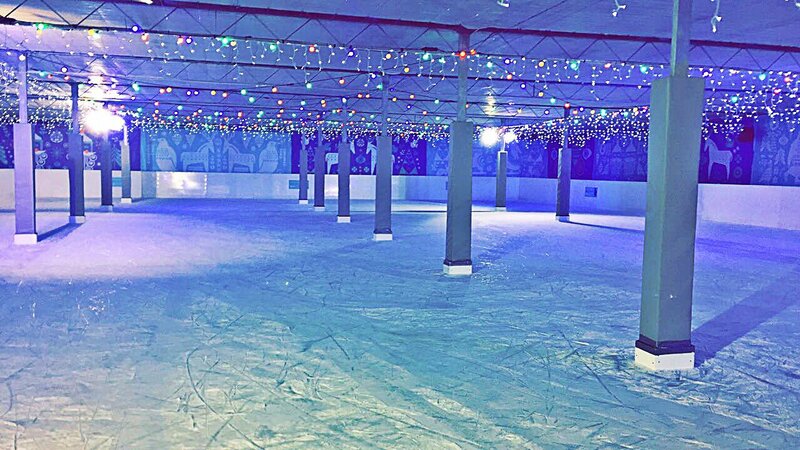 Icescape have supplied a temporary winter ice rink for Beckworth Emporium for a number of years to help create their very own Ice Emporium. Along with their real ice rink, they require two separate curling lanes. 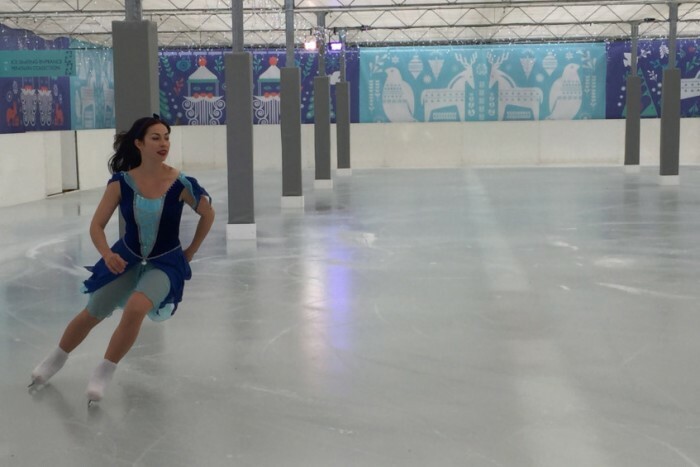 Using our knowledge and experience of providing high quality ice rinks, we were more than happy to provide our client with the products they required. This ice rink boasts a total size of over 680 sqm, with over 170 sqm of extra ice for customers to enjoy games of curling. The curling area has enough space for eight players per lane at any one time and there is a submerged target at either end of the lanes. 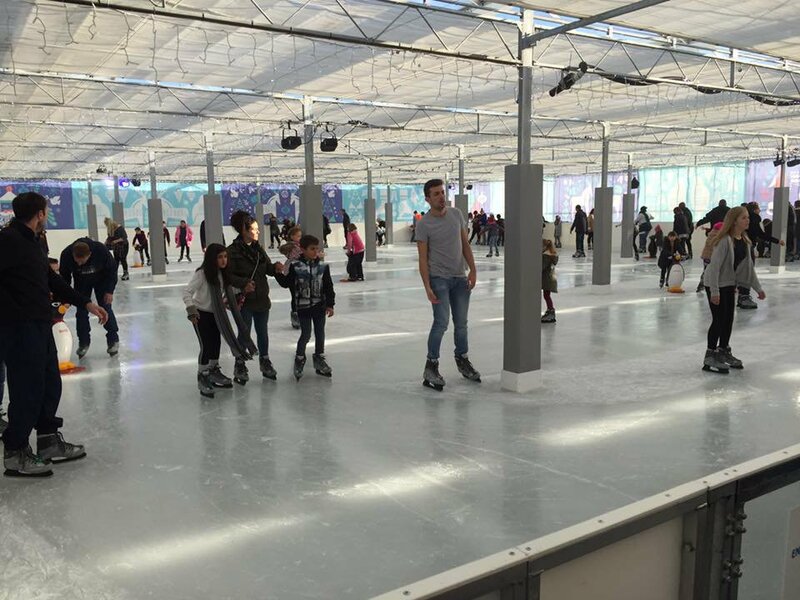 The rink is situated in a glass house nursery meaning that customers can skate no matter the weather, allowing for a constant footfall of traffic for the client. Regardless of the conditions outside, it won’t affect the ice surface. 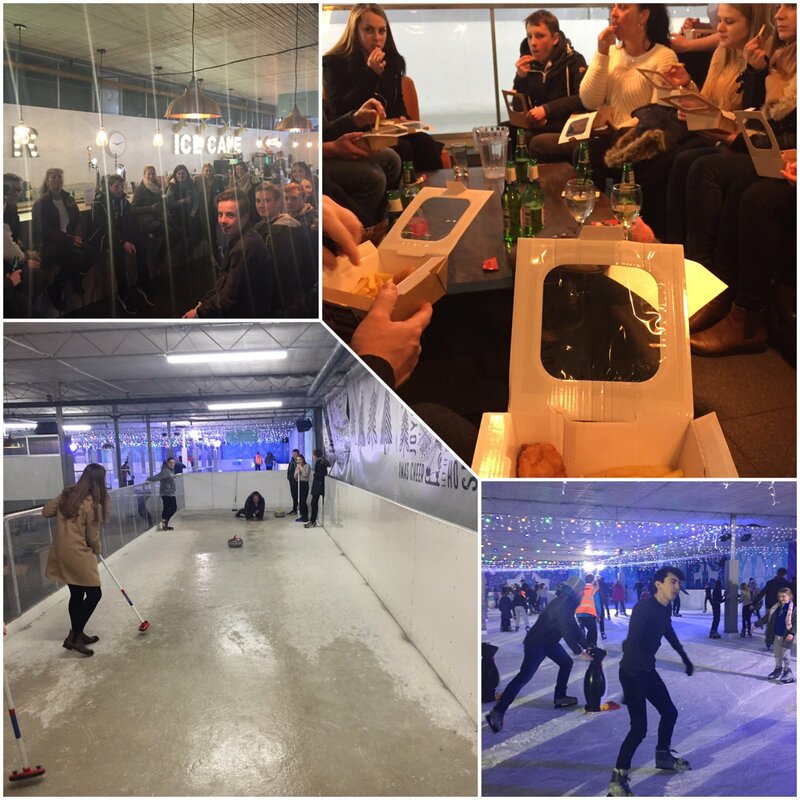 The lighting, snow machine and music within the rink area provides a festive atmosphere. 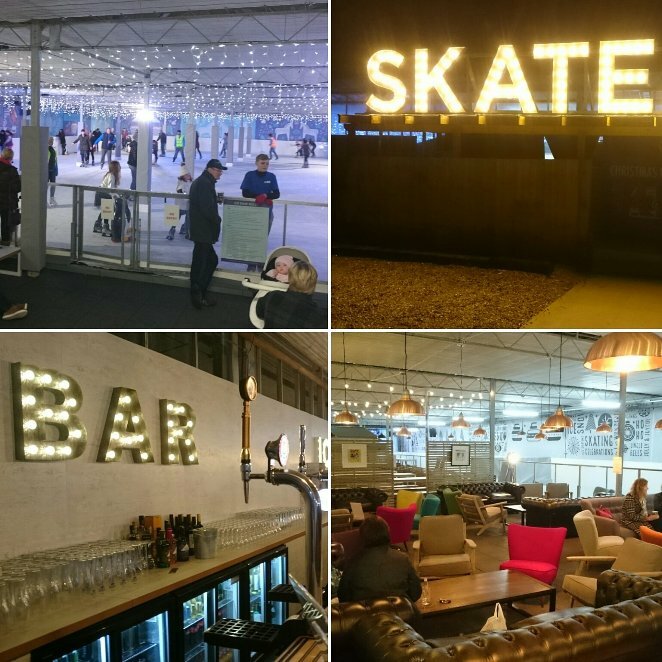 This, alongside a bar and a café, with purpose-built toilet facilities and VIP areas, helped to create the perfect winter attraction for visitors to enjoy Beckworth Emporium. Alongside the ice rink and curling area, Icescape provided over 800 pairs of skates and a full-sized Olympia ice resurfacer machine to maintain the ice. The customer supplied all furniture dressings and their own skate aids. The rink was placed directly on the grits and floor of the nursery as the surface was sufficiently level. Custom cushioning pads were made and fitted to cover the steel pillars on the ice rink to ensure safety of the customers.